The state has decided not to approve the conversion of Castle Island’s Fort Independence into a Spooky World-style haunted castle this fall. The state Department of Conservation and Recreation has refused to approve the conversion of Castle Island’s Fort Independence into a Spooky World-style haunted fort this fall, following fierce opposition from neighbors. Critics said the “Fright Island” proposal was an inappropriate use of a beloved and historic landmark. They cited public safety concerns, in part due to the beer and wine sales proposed for Fright Island, and the anticipated traffic congestion. And they saw this as the latest example of the bigger changes sweeping their neighborhood. The news was a big disappointment to event organizer Matthew DiRoberto. Working with the Las Vegas-based promoter behind that city’s “Fright Dome” attraction, DiRoberto had originally sought to install Fright Island at the fort on Georges Island in Boston Harbor. But the logistics of holding such an event in an offshore location prompted him to instead look at Castle Island. “It gives you a really cool backdrop,” DiRoberto said of the Southie location. DiRoberto had hoped to attract nearly 800 people a night, over 18 nights, starting in late September. He planned to charge $30 to $40 a person, with a piece going back to the DCR. But the City Point Neighborhood Association’s president, Joanne McDevitt, said the DCR’s portion — $1 per ticket was mentioned — wasn’t worth the sacrifice. “That’s a small amount of money to give up the peace and quiet people enjoy [at] Castle Island,” she said. DiRoberto remains hopeful, despite the rejection. He said he’s looking at several other locations, in and around the city. Roy said his agency is helping DiRoberto with the search. It might be tough to land another spot in time for this fall’s Halloween season, though. 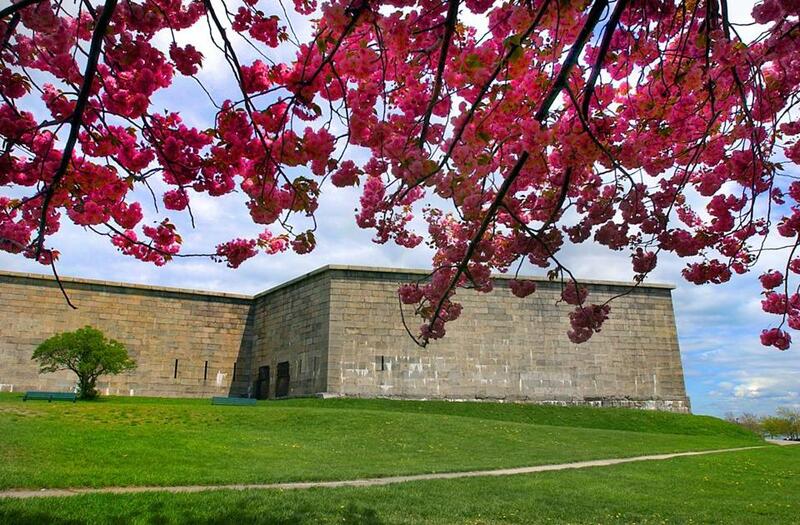 Bill Spain, president of the Castle Island Association, said he worried about wear and tear on the historic fort, which was built in the mid-1800s, and the possibility of tailgating in the parking lot. “As far as I’m concerned, it was like having the whole month of October like St. Patty’s Day,” Spain said. And then there was the potential conflict with the Castle Island group’s Halloween event for families, which Spain’s group sponsors at the end of October. DiRoberto insisted the two events could coexist. But Spain said he was doubtful. Representative Nick Collins, a Democrat from South Boston, said he supports DiRoberto’s concept — but not in the historic fort. Collins said he suggested the Lawn on D and the marine industrial park to DiRoberto as possible alternative sites in the neighborhood. Roy said the DCR is becoming increasingly reliant on outside revenue — including fees, rentals, and donations — for its nearly $85 million annual budget. He expects about 20 percent of the budget will need to come from such sources in the upcoming fiscal year.